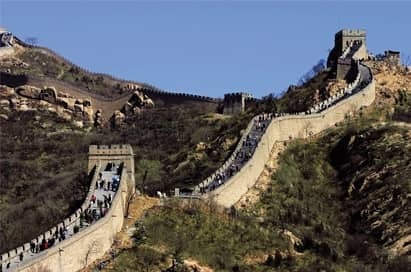 China is the oldest continuous major world civilization, with records dating back approximately 3,500 years. It is a destination which allows your students to explore a society and culture radically different from our own and enjoy some genuine hospitality. Choose from a range of itineraries, all of which include your own local experienced guide throughout your stay. 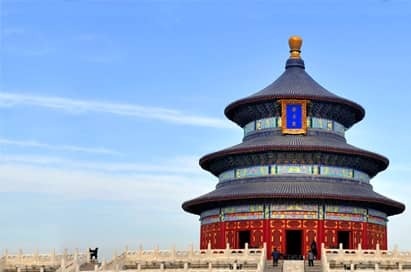 For students studying Mao and the formation of the People's Republic, a trip to China will give them an insight into the culture and traditions which led to Communist success. 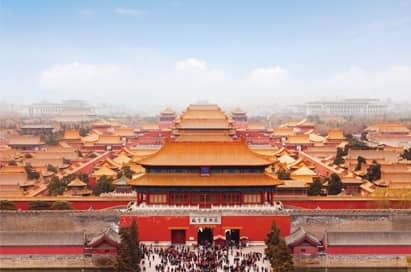 Students will be able to visit great historical landmarks like the Great Wall, Tiananmen Square, the Forbidden City or mix with their Chinese peers in a visit to a high school. 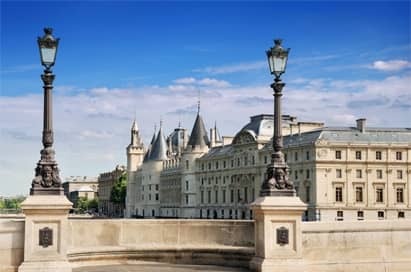 You will be spoilt for choice when deciding on your itinerary but your visit is guaranteed to bring understanding and change perceptions of this populous and fascinating country. 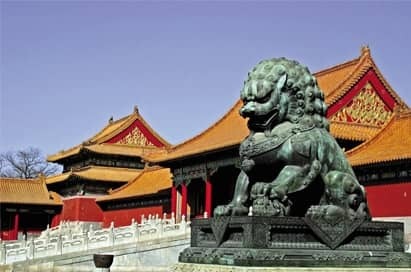 The Ming Tombs are the mausoleums of 13 emperors of the Ming Dynasty (1368 - 1644). They have been perfectly preserved, as has the necropolis of each of the emperors. Because of its long history, palatial and integrated architecture, the site has a high cultural and historic value. The layout and arrangement of all 13 mausoleums are very similar but vary in size and complexity of their structures. 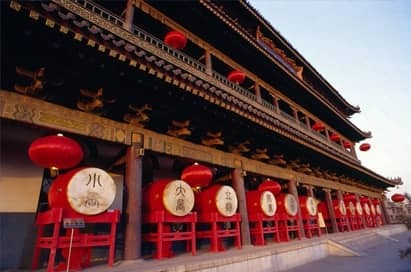 The Museum of Chinese History and the Museum of Chinese Revolution share a single building complex, which runs more than 300 meters north and south along the eastern side of Tiananmen Square. 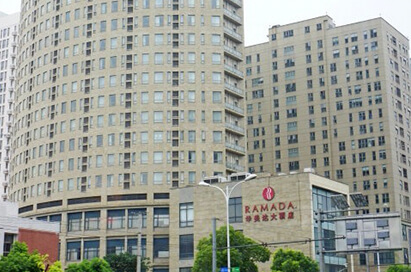 The four-story main building with its two symmetrical wings was built in 1959 as part of the project to build 10 monumental buildings in Beijing. The Mausoleum memorialises the founder and first Chairman of the People's Republic of China, who passed away at the age of 82 in 1976. It provides people with a place to show their respects to Chairman Mao. His body lies in state on a bed covered in a crystalline sarcophagus and surrounded by flowers. 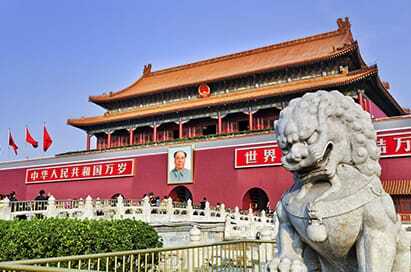 During the day his coffin is raised by an elevator and is on display for all to see, and at night he is lowered back into his earthquake proof chamber beneath Tiananmen Square. This is the most significant archeological excavation in the 20th century, and work is still ongoing. It was first discovered when a group of peasants uncovered some pottery while digging for a well in 1974. 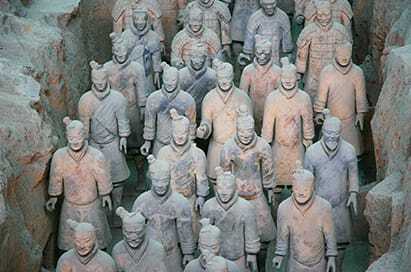 Archeologists were alerted and soon established they were from the Qin dynasty (211-206 BC). Altogether approx 8,000 pottery soldiers, horses, chariots and weapons have been unearthed to their former grandeur, it was listed as a world heritage site by UNESCO in 1987. The 7-storey high Great Wild Goose Pagoda was built in 652AD. 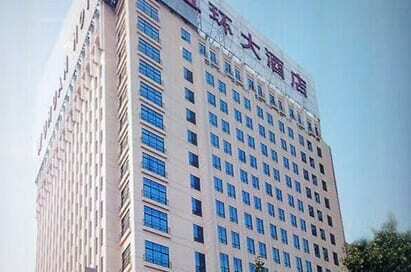 It is a striking elegant building and is the symbol of Xian. The famous Buddhist monk Xuan Zang returned from a 17 year pilgrimage and the square pagoda was built to house the 600 or so Buddhist texts that he had collected in India.